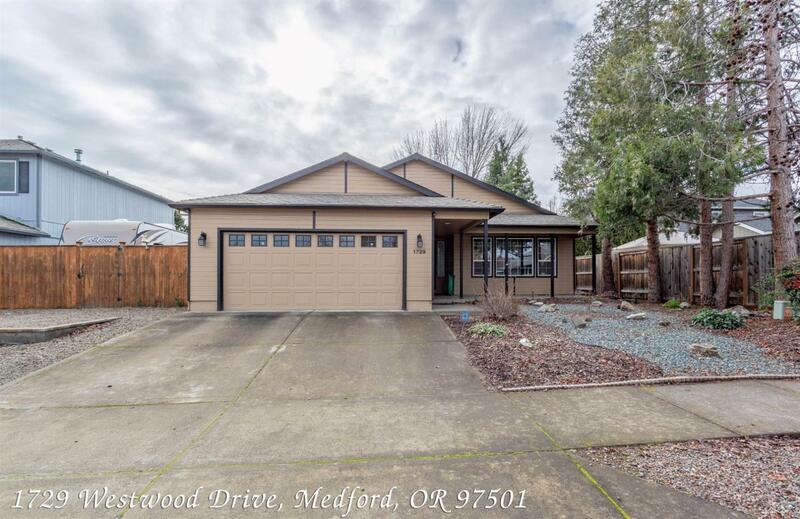 Beautiful home in Southwest Medford. This home is a 3 Bedroom, 2 Bathroom 1, 606 sqft, on a spacious 0.16-acre lot with a 20' x 30' finished detached shop. Attached 2 car garage. Open floor plan with vaulted ceilings in the common area. Kitchen has an island with included fridge. 3D Virtual Tour and Fresh Home Inspection available online. Must come tour! Directions: From South Columbus turn onto Cunningham Ave, left onto Warren Way, then a right onto Westwood Drive. Home will be on the left.